The term queen bee is typically used to refer to an adult, mated female that lives in a honey bee colony or hive; she is usually the mother of most, if not all, the bees in the hive. 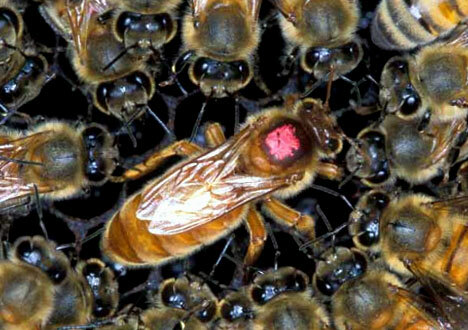 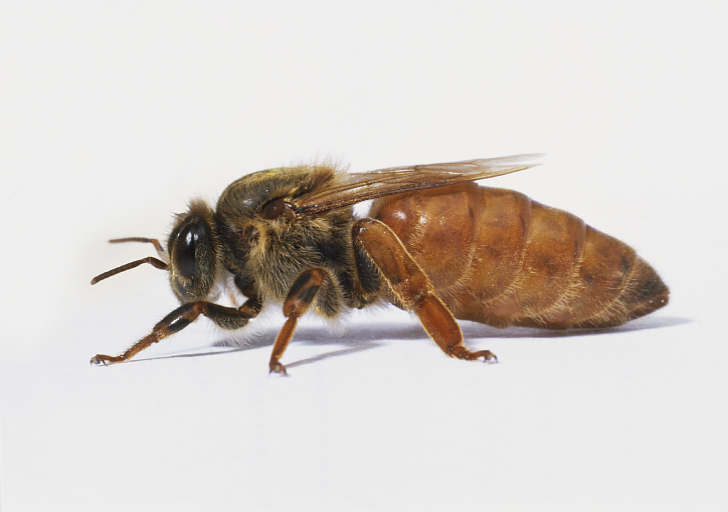 The queens are developed from larvae selected by worker bees and specially fed in order to become sexually mature. 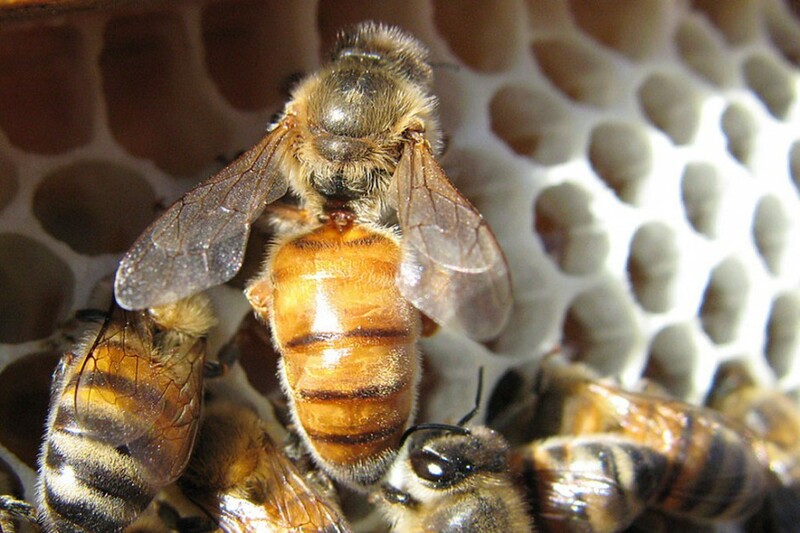 There is normally only one adult, mated queen in a hive. The term "queen bee" can be more generally applied to any dominant reproductive female in a colony of a eusocial bee species other than honey bees.